* Note: If the quest objective is a ring and easily reached, it won't be featured here. Just open the map and run to the ring. Pages 1,2,3,4,5,7,8,9,10,14 and 16 are in Udûn proper. 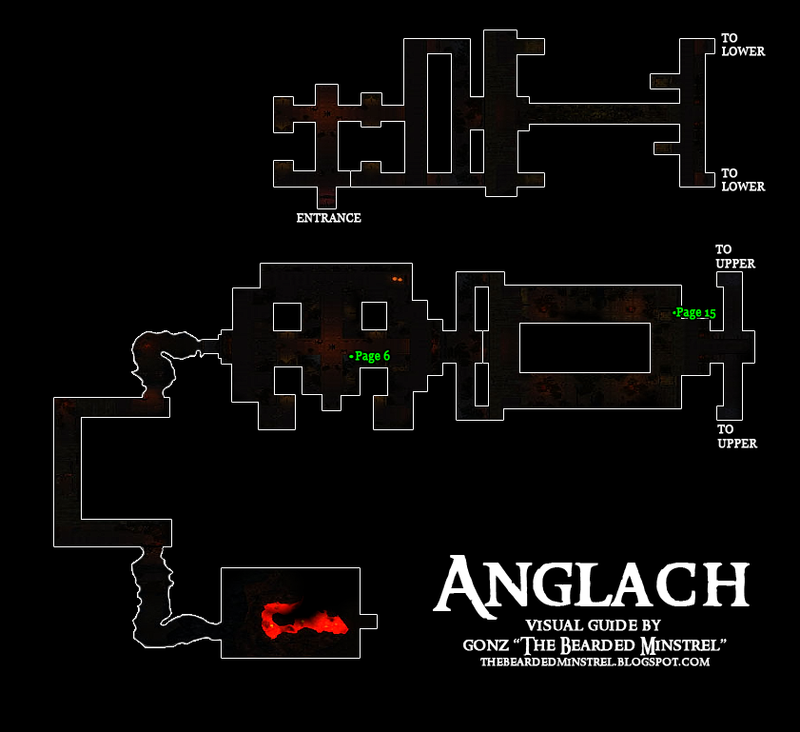 Pages 6 and 15 are in Anglach. Pages 11 and 12 are in Durthang. Page 13 is in Durthang Tower-tup and is at the very top of Durthang Tower. The rest of these are not 100% complete yet, if you find more information, please share and I will update accordingly. The following mobs are needed for the quests "The Fists of Ugrukhor and The Ears of Ugrukhor"
Well done my bearded friend! I salute you. Have they moved the locations for spies? Because I stepped on every stone at the center spy locations and south from there, but there was nothing. Even waited for a while for respawns. Very nice compilation of work. Thank you for posting and sharing it. I think I am finally clear of Mordor after many months of questing. This guide was invaluable, thanks so much for posting it. 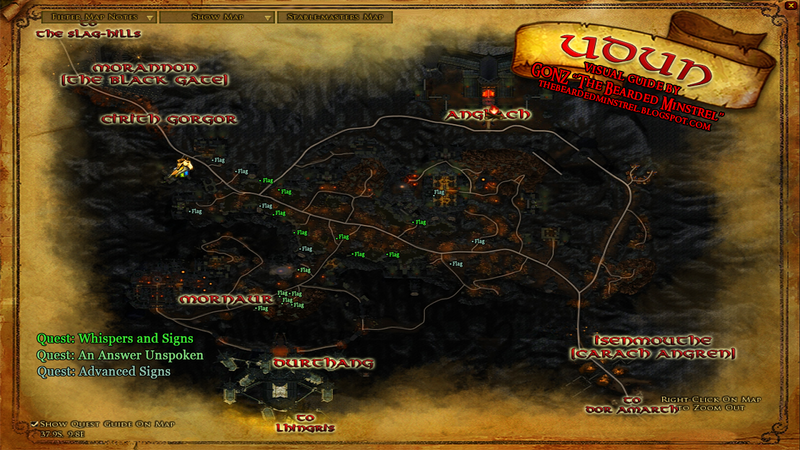 Loved my experiences in Mordor, very rich experience. His sword was long, his lance was keen, his shining helm afar was seen. By way of constructive suggestion not criticism or lack of gratitude - I note that many people focus on the black book. Especially now with an increasing amount of higher level content far fewer people try to do everything. 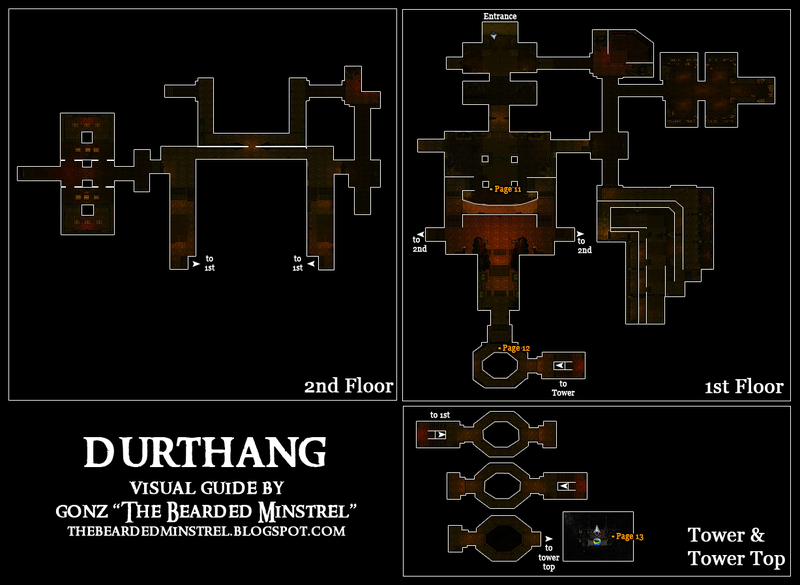 The map of Durthang could be greatly improved with little effort by noting where the three doors are (even approximately) and then where the mob you need to kill is, for the black book quest. First floor eastern area for the benefit of any newcomers to the zone reading this thread.